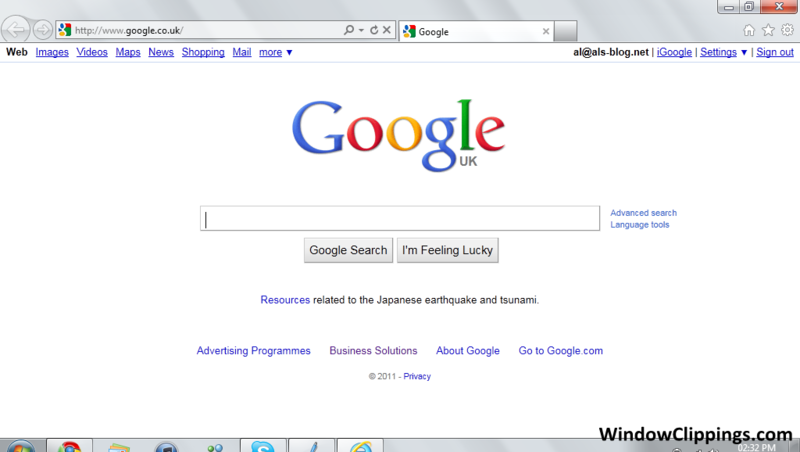 Internet Explorer 9 goes live – nothing that much new… | GEEK! Internet Explorer 9 went live in the early hours of today after a year of development. You can grab the new version from http://www.microsoft.com/ie9. After a relatively quick installation, you are presented with the new interface (see below). There are several issues with IE9 that I haven’t really liked since the Platform Preview. For example, I’m really not sure why Microsoft bothered to make it so that tabs appear on the same row as the web address. On a low resolution display such as a netbook, this becomes extremely frustrating when you can’t see the titles of your open tabs. This can be fixed by right clicking on the title bar and selecting ‘Show tabs on a separate row’ but I’d rather it did this by default. On the plus side, launch time definitely seems to have improved and seems to be relatively comparable to Google Chrome. Doing an acid3 test on IE9 will give you a result of 93/100, which isn’t perfect – but isn’t awful. The latest version of Chrome will give an acid3 result of 100/100. Whilst it still is no comparison to Google Chrome or Mozilla Firefox (and probably won’t ever be), it has to be said that there have been several improvements. Sadly, Internet Explorer’s rendering system has always been a let-down to me as it just isn’t half as good as Webkit or Gecko. This entry was posted in Software, Software reviews and tagged ie, internet explorer 9, microsoft, review, Software on March 15, 2011 by GEEK!.